Cartoonist, caricaturist and comedian David Pitts believes that caricature is comedy entertainment with paper and pen. 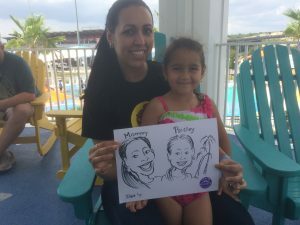 People love the gentle fun of Mr. Pitts caricatures and Morgan's Wonderland, the world's most accessible family fun park, is offering free, complimentary cartoon caricatures to guests in the park on Sunday from 11:30am to 1:30pm. It's fun for the whole family! Come on out and get 'tooned!